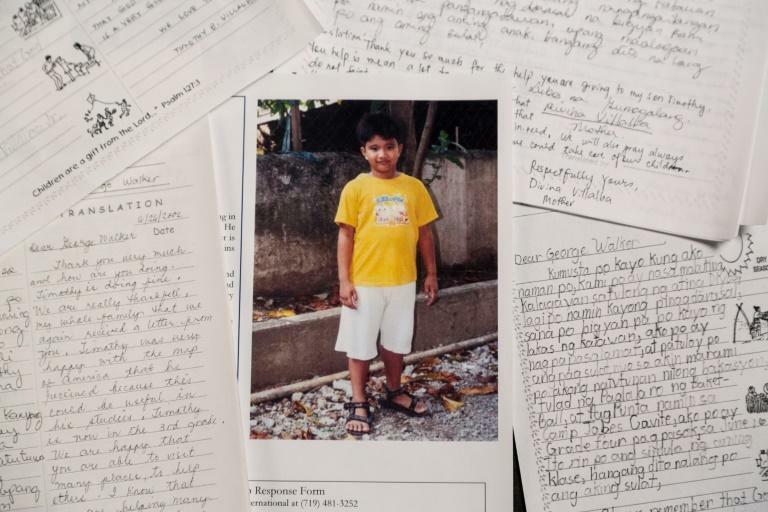 To the boy in the Philippines, his American benefactor and source of kind letters and gifts was known simply as "G. Walker." To the Christian charity helping him keep his benevolence secret from the world, he was George Herbert Walker Bush -- the 41st president of the United States. 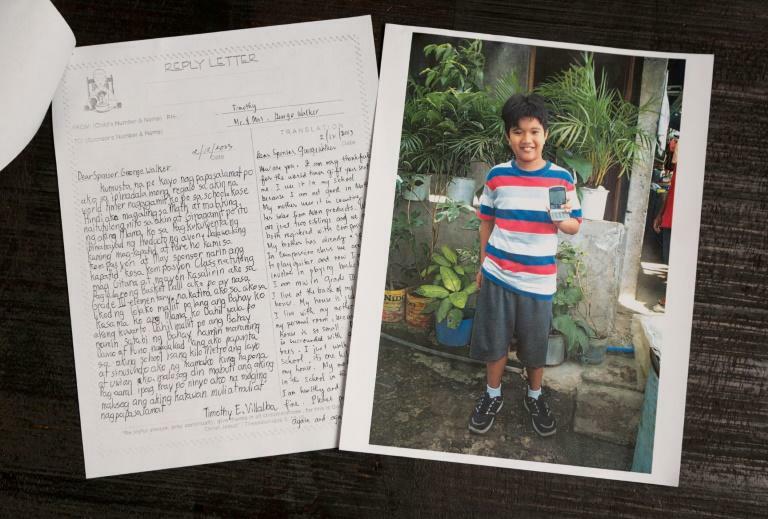 The organization released a number of Bush's heartwarming letters to his young charge. 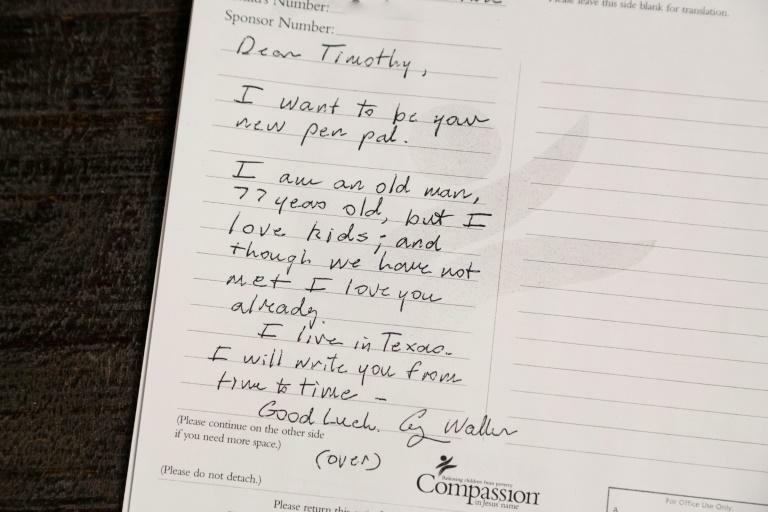 "I want to be your new pen pal," Bush wrote in his initial letter sent on January 24, 2002. Bush's former press secretary Jim McGrath confirmed to AFP the authenticity of the letters. "This is but one of seemingly countless acts of kindness that George Bush performed through the years without fanfare, but rather because it was what was in his heart," McGrath said. Bush began sponsoring Timothy with a monthly donation in 2002 until his graduation from the charitable program in 2012. Through all of that time, Bush's true identity was kept secret due to security concerns. At times, Bush's letters contained hints of his true identity, such as one in which he wrote: "I got to go to the White House at Christmas time. Here is a little booklet that I got at the White House in Washington." In others, he offered gentle advice. "I sure hope you like school and athletics. I do. I am an old man -- now 78 -- but I feel young at heart," Bush wrote. Bush also occasionally sent gifts to Timothy, who spoke in his letters of loving to draw, and playing basketball and guitar. "I'd like to thank you for the letter you sent me, as well as the drawing pad, colored pen and colored pencil," Timothy wrote in 2004. At age 17, he graduated out of the program and a charity employee revealed to him the identity of his pen pal. Timothy was stunned, the organization told US media. The charity has since lost touch with Timothy, but its former president Wess Stafford is sure of Bush's impact on the young man's life. "We may not know where Timothy is, but we know he's now living a successful life," Stafford told CNN.